Recruiting is challenging in any industry, but health care recruitment faces more challenges than most, from budgetary constraints and limited resources to shortages of experienced health care workers and ever-changing reimbursement policies. 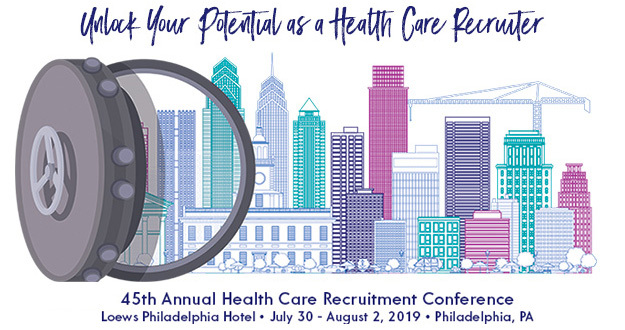 NAHCR is pleased to provide health care recruiters with the opportunity to demonstrate their readiness to face these challenges by earning the Certified Health Care Recruiter (CHCR) examination. The CHCR examination is ONLY offered in conjunction with the NAHCR annual conference. The next credentialing exam will be offered on Tuesday, July 30, 2019 at 1:30 pm at the Loews Philadelphia Hotel, Philadelphia, PA. Applications must be received by Monday, July 15, 2019. Please plan to arrive 30 minutes prior to the examination start time and bring a photo ID. Candidates must have at least two years' experience and currently be working as a health care recruiter at the time of application. Applications must be received by Monday, July 15, 2019. No registrations will be accepted after that date. Payment may be made by credit card (VISA, MasterCard or American Express), cashier's check or money order made payable to NAHCR. Examination registration fees are not refundable or transferable and expire in one year. NOTE: Registration for the NAHCR annual conference is recommended, but not required, to register for the CHCR Exam. The CHCR exam is composed of approximately ninety (90) questions covering the essential topics for today’s health care recruiters. Candidates will have approximately two hours to complete this examination. Upon confirmation of their eligibility to sit for the exam, candidates will be provided with a link to a downloadable resource guide. Please note that the resource guide is a supplement to learned experience, not a substitute for the general health care recruiting knowledge needed to pass the exam. Exam results will be mailed to the candidate’s address within two (2) weeks of the examination. Already a CHCR? Members who hold the CHCR must recertify their credentials every two years. This can be done through either continuing education or reexamination. Click here for more information about recertification.